Epsilon is a marketing agency with big clients like Best Buy, Target, Verizon Wireless, and assorted credit card companies. And, as of March 30th, Epsilon has announced that a security breach may have exposed the email addresses of many of their clients' customers. 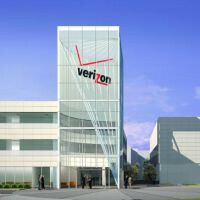 On Tuesday night, Verizon Wireless informed customers that its information was involved in the breach: "We have been informed by Epsilon, a provider of Verizon's email marketing services, that your email address was exposed due to unauthorized access to its systems." Fortunately, Epsilon only had customers' email addresses, and not their billing or personal information. But customers should still be wary of unfamiliar emails, avoid opening unknown attachments, and never follow a prompt to re-enter your billing information. If you receive something fishy, forward it to abuse@verizon.net. Verizon also apologized for the event: "We regret any inconvenience this may cause you. Please be assured that we take the privacy of your information very seriously." But we don't exactly blame Verizon, as the breach was well outside their control. Credit card companies appear to be the first ones apprised of the potential breach, as they began warning their customers on Monday morning. But Databreaches.net has since been compiling a list of affected companies, which now includes Chase, Citi, Barclays, Capital One, Best Buy, TiVo, Target, and many more. Sad day for Simple mobile if this really true. At least Epsilon and Verizon are letting people know. Well handled. Serves them right for outsourcing. Epsilon, a major Internet marketing concern, last week experienced a hack of its client's customer database. The Epsilon database hack exposed the names and email addresses of millions of consumers at charge card corporations and major retailers. Phishing attacks are anticipated to be the inevitable result of the Epsilon data base hack, and the company's clients began warning their customers Monday. If your bank account is hacked into, a short term loans loan will not likely be enough to mend the frustration.